Along with our new totes, our musettes are now in stock. 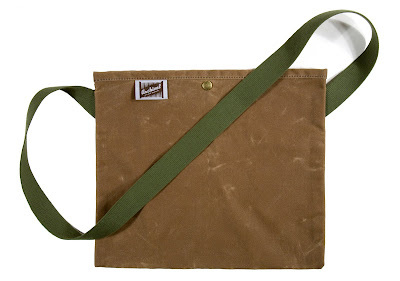 To purchase a musette or tote, send an email to info@ArchivalClothing.com to confirm availability of style and color. 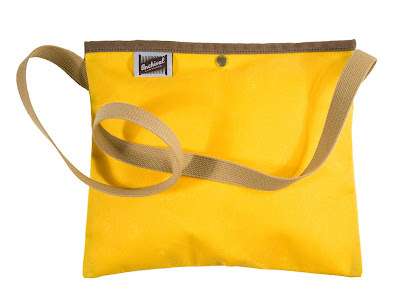 For the musette, please specify color (Field Tan, Navy, or Yellow), and strap length (41 or 45 inches). 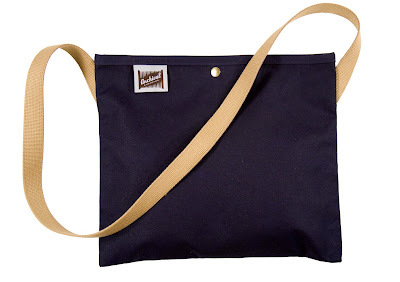 There is limited availability of plain musettes with a 45 inch strap. Musettes are $50 plus $7.50 for shipping within the US. If you’re in the area, drop by Clever Cycles in Portland, Oregon, to see our musettes. For international shipping charges, please inquire at info@ArchivalClothing.com. We should have another round of flap musettes and rucksacks available in the next month. Also, please check out our guest post on Commerce with a Conscience.